OK-SAFE, Inc. -What is Technocracy? Technocracy is the concept of government by technicians, i.e. scientists and engineers, who would oversee and administrate government and the economy. 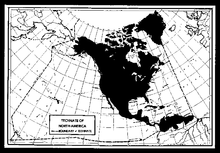 The framework for a North American Technate (an institutionalized and operational technocracy) was formulated in the early twentieth century by an influential group called Technocracy Incorporated. This group eventually published a Technocracy Study Course in the mid-1930’s, noted below. A Technate does not recognize God, individual rights, representative government, or national boundaries. There is no constitution – the blueprint for a Technate is based on functional systems. A Technate, as described, holds sway over all the resources of its extended territory, from minerals to man; it considers all types and classes of production and methods of distribution, and determines how much energy would and should be consumed in the process. Technocrats believe it is their job to balance production and consumption; this involves moving from the current “price-based” system (or whatever it is we currently operate with), to a system based on energy consumption – for instance, a “carbon” based currency system. Originally, the technocrats envisioned issuing an Energy Certificate to each person at birth. When that person used up all his pre-determined energy credits, well, that would be it for him – no more energy allotment. Technocracy was being promoted during the time a great financial crisis was facing the nation – the great Depression. Technocracy was offered up as a solution to the country’s ills. The establishment of a Technate (government by technical experts) was seen as way out of what seemed an insurmountable problem. According to Patrick Wood, FDR was offered the position of ‘dictator’ over the proposed Technate, but refused. We can expect that same pattern of behavior will repeat itself – a great financial crisis, followed by calls for an immediate solution. Scripture says there is nothing new under the sun and efforts by man to control and dominate the affairs of others continues. The groundwork for a type of Technate has already been laid – all that is needed is the right ‘crisis’ to launch it. The Technocracy Study Course book, produced by Technocracy Incorporated, was published in New York in 1934, 1935 and 1936, and in Canada in 1937 and 1938. The digital copy was made available in 2008. (See below for links). When you read through this Study Course, make special note of Lesson 20, The Nature of Human Animal, and Lesson 21, Technocracy: The Design. After reading these chapters, a lot of what is happening today is made clearer – including liberty-killing sustainable development plans, schemes to control production and consumption; land and water use restrictions; health care and education reform; the purpose of Smart Meters and the Smart Grid; data collection systems and surveillance technologies; government “modernization” efforts that will lead to the outsourcing of government functions; open borders and the disregard of constitutional government; and the rising up of a technocratic elite as ‘enterprise administrators’. A complete digital scan of the Technocracy Study Course. This copy by TNAT The North American Technate. Google Technocracy technate for more associated information. This is the 1945 edition. The last two chapters of this book contain the Technate design for North America.. the complete appendix.. after the design chapters.. are presented also. The Technocracy Study Course introduces basic concepts of science, then relates those concepts to the idea of a scientific social design, secular and humanitarian, creative and life enhancing when the Price System abstract value system is not used, but energy accounting is. The design based on the metrics of energy.. is the viable alternative to the present system referred to as a Price System. The Technate design precludes special interest groups. It is not a political system. Investigate Technate design for an actual alternative system based on sustainable abundance within the context of our resource base. Go to the upper left area where it says ”view the book” and click on the blue Pdf. to open this book. This book can also be read online by clicking that option.